400 Things Cops Know shows police work on the inside, from the viewpoint of the regular cop on the beat - a profession that can range from rewarding to bizarre to terrifying, all within the course of an eight-hour shift. 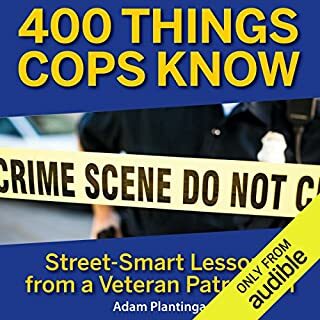 Written by veteran police sergeant Adam Plantinga, 400 Things Cops Know brings the listener into life the way cops experience it - a life of danger, frustration, occasional triumph, and plenty of grindingly hard routine work. 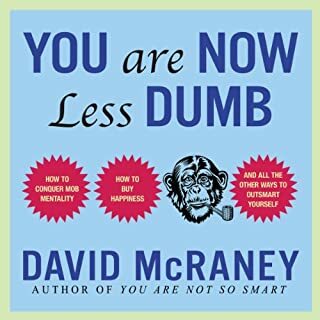 You Are Now Less Dumb is grounded in the idea that we all believe ourselves to be objective observers of reality - except we’re not. But that's okay, because our delusions keep us sane. Expanding on this premise, McRaney provides eye-opening analyses of 15 more ways we fool ourselves every day. This smart and highly entertaining audiobook will be wowing listeners for years to come. You really will be less dumb! 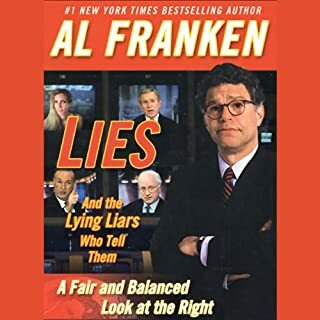 Finding logical inconsistencies, factual errors, and doublespeak wherever he looks, Al Franken takes on and destroys the myth of liberal bias in the media, hoists the Bush White House on its own rhetorical petard, and punctures the mean-spirited sanctimony of such media darlings as Ann Coulter and Bill O'Reilly. Timely, provocative, unfailingly honest, and always uproarious, Lies is sure to raise hackles and spark hilarity inside the Beltway and from sea to shining sea. Not disappointed in this book! I'm a disciple of The Nerdist Way!! Science starts to get interesting when things don't make sense. Science's best-kept secret is that there are experimental results and reliable data that the most brilliant scientists can neither explain nor dismiss. In the past, similar "anomalies" have revolutionized our world, as in the 16th century, when a set of celestial anomalies led Copernicus to realize that the Earth revolves around the Sun and not the reverse, and in the 1770s, when two chemists discovered oxygen because of experimental results that defied the theories of the day. If history is any precedent, we should look to today's inexplicable results to forecast the future of science. 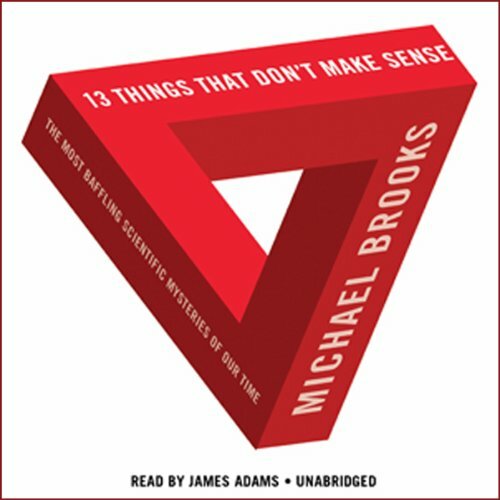 In 13 Things That Don't Make Sense, Michael Brooks heads to the scientific frontier to meet 13 modern-day anomalies and discover tomorrow's breakthroughs. ©2008 Michael Brooks (P)2008 Blackstone Audio, Inc. The name of this book is misleading. It is really about 13 phenomena that we don't understand. Most of the book is science related and some science background will likely improve your appreciation. The topics are quite scientifically varied and covers astrophysics, physics, chemistry, biology, pscyhology. The author does a good job in presenting a balanced description and history of each of the topics. I am a scientist and found much of what was presented as very interesting and new information. Oddly, my advice would be to read the epiloge first. It is a very good presentation of the wonders of science and why we pursue knowledge and serves as a great reason to care about what is in the book. It is also a good review of the chapaters to come. A few of the interesting chapters include the fact that the cold fusion experiments that were supposedly a bust, are now found to have enough merit to have spurred ongoing research. It also interesting to know that space craft launched into the glaxay decades ago, appear to have inexplicable changes in their flight path. The chapter on the placebo was also very illuminating as it turns our that there may be more to the placebo effect than psychology. Unfortunately, not all the chapters are of equal interest, but I found at least 10 of 13 to be very worthwhile. 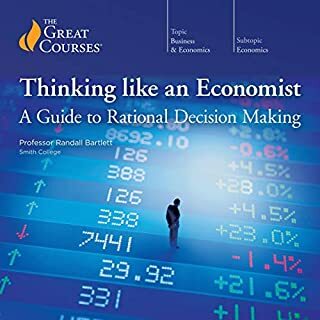 My husband and I listened to this book on a long car trip recently. The book is very well written with humorous bits throughout. The narrator however, is stilted and does not realize he is reading humorous parts. This book could use a much better narrator since the subject matter is fabulous. Otherwise I highly recommend. A great listen. The 13 things are well explained. 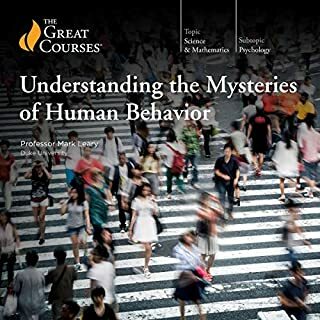 Each one is explained as to how they were found, why they don't make sense, and some of the theories that are being considered to explain the problems. Expanded my grasp of reality and really got me thinking. The perfect gift for someone who thinks they know it all. It's not uncommon for academics to write a book for "the rest of us," taking what is normally incredibly obscure data and explaining as best as possible in everyman language. This is one of those and the subject matter can be quite fascinating. That being said, be prepared for the material to still be somewhat dry. The science is fascinating, but read gets bogged down in some of the references and there are callouts to various science disciplines which, if I was reading the book I would have glanced over, but in the audio version they are read at the same pace as the main information. This not intended as a slight, but just the nature of academic based material. Also, typically the written book would have associated diagrams to illustrate the point. With science materials, there is a load of truth to the phrase "a picture is worth a thousand words." Unfortuately in the audio version you have to endure all the words instead :) I liked the book, but but by the time it was over I was tired of the presentation. I don't think I've ever read a book with more fascinating topics while at the same time wrapped up in such a boring presentation. It is like being in one of those scientific college courses with the most dreaded professor that nobody wants to take. Brooks seems to try presenting very technical and theoretical topics in a general way, but he really fails to tell the stories in a way to capture one's imagination or attention. 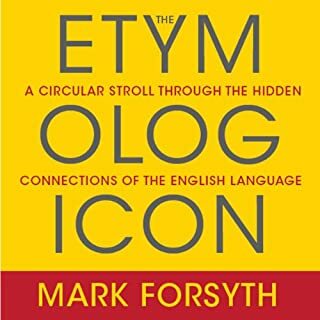 A fascinating overview written for lay people. The accuracy of the explanations does not suffer as a result of the simplicity. I am always on the lookout for bias in accounts of controversial topics. This struck me as very fair. The narration is also quite good. The author plays a very fair hand, dealing with the current mysteries of science. The insights assume some level of knowledge, but sufficient background is given for a high-schooler to gain some appreciation of the quandaries. The narrator is very easy to listen to. I have listened to the entire book twice because I have enjoyed the material. This may be the best, most consistently compelling science writing I've ever encountered. I'd hold this up as the standard for which every science writer should aspire. I don't know what else to say. The only thing I'd have changed about this book would be to make it about 25 or possibly 100 or more things that don't make sense, as 13 was not nearly enough to leave me satisfied (which may be why I'm now listening to it for a second time). Michael Brooks has managed to capture the excitement and mystery (not to mention the irony and hilarity) of the undiscovered. Given the subject of his survey is the enterprise of science (which too often appears as an edifice of certainty), Brooks' accomplishment is not merely that much more compelling but especially timely and needed. For we live in a time of great uncertainty and churn in human perspectives, when so many in the endeavour of science too frequently aggregate in positions of orthodoxy, dogma and convention. It's so crucial for us to be afforded this survey of science pursuing the unveiling of truth, to see how frequently mainstream (fashionable) science, despite a methodology designed to level the playing field, too frequently makes a fool of itself; by hounding the scientists who muster the courage to let their curiosity consider 'unfashionable' hypotheses. I cannot recommend this book highly enough. It is not only for those whose passion for science, or voracious curiosity of the nature of the universe/creation knows no bounds. This book is especially for those who have come to feel an unease with science and technology or a loss of wonder in the universe. Some topics are more fascinating then others but overall a great book. It left me wanting more information on all 13 topics! I hope his next book is, "More About 13 Things That Don't Make Sense".